Tikopia: A Web Report, composed entirely of images and sounds re-purposed from a google search for Tikopia, comments on the precariousness of vanishing cultures and ecosystems. 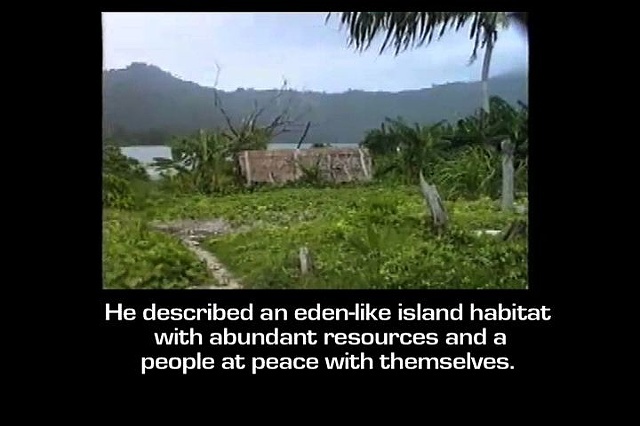 This 2-square-mile landmass in the Solomon Islands is a micro model for eco-preservation using agricultural sustainability, zero-sum population growth and political kinship systems aimed at preserving the islands environment. Tikopia is also representative of the increasing vulnerability of a small pacific island habitata potential victim of global warming and climate change.